Vice President for Campus Life Penny Rue wants to enhance a University community where everyone at any age can dive in and thrive. Penny Rue became vice president for campus life in July 2013 and a member of the Reynolda Cabinet. 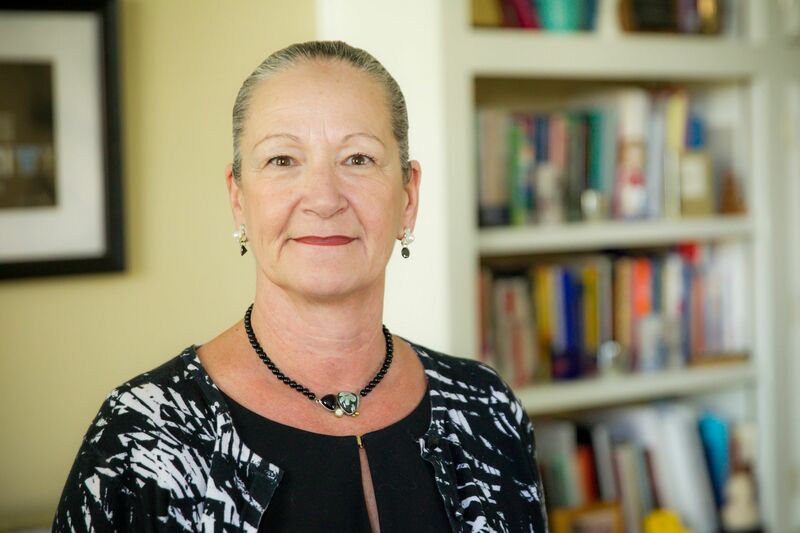 She supervises Residence Life and Housing, Student Services, Campus Life, Campus Recreation, Student Health Service, the Office of the Chaplain and University Police. Before moving to Winston-Salem, she served as vice chancellor of the University of California San Diego. Throughout her career she has been known for building community and for being an innovator in wellness programs. 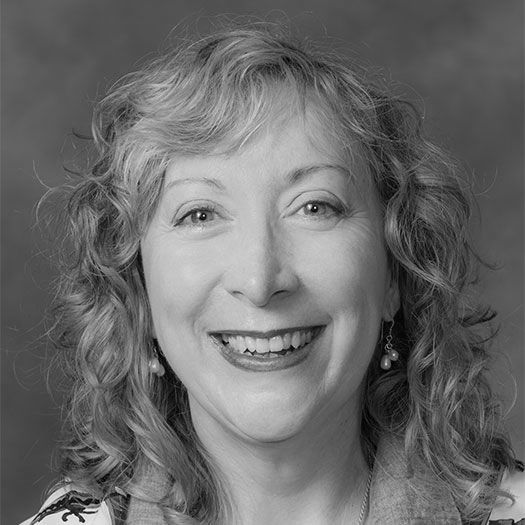 Maria Henson (’82) asked her about her background and Thrive, the University’s comprehensive approach to wellbeing. The following are edited, condensed excerpts. MH: You have said that this generation of students is especially stressed and anxious. Could you talk about that? PR: This generation is in some ways much more remarkable. They are more aware of global issues than we were. They’re passionate. They want to make the world a better place. But at least the kind of students we have at Wake Forest had most of the hurdles taken out in their lives before they had to jump over them. Their parents have fought their battles for them in school. Most of them have not worked for pay outside the home, so they haven’t had a boss who was mean to them. They are very perfectionistic because they haven’t experienced failure. They think the opposite of failure is perfection. They haven’t developed resilience. Most of them have not gotten many B’s, if any. So they come to Wake Forest and within a week or so they’re going to find themselves encountering material they don’t understand. Getting a B or a C on a quiz or paper throws them into a tailspin because not only do they have impossibly high standards for themselves, but they also think they’re supposed to be perfect. And we give them a lot of work. It’s a recipe (resulting in stress). So there’s a resilience that hasn’t developed yet in a very high-pressure environment with high expectations and limited coping skills. Penny Rue talks with Sean Wilkinson (’15) on Hearn Plaza in 2013. MH: What is Thrive trying to do? PR: Be a public face of wellbeing. We have wonderful counseling services, wonderful learning assistance services. Students use those more and more every year. It’s not as though students don’t navigate to the help. But for some students if it’s just put in a ‘you need help’ language, it’s off-putting. If it’s put in ‘we all want to thrive and we’re all on a thrive journey,’ then that is more appealing. It’s designed to be the public-facing dimension of those very serious support services and also to invite everyone into the conversation because we can thrive at any age. MH: I have heard some criticism that Thrive is more a marketing campaign than an undertaking with real outcomes. PR: They are two sides of the same coin. If you have all these wonderful support services and people don’t know about them, then marketing is the right answer. But the marketing is not marketing in the absence of substance. We are still in the process of establishing some of our metrics and goals that will actually move the needle. But we do have good baseline data around student smoking behaviors or student drug use or student alcohol use and even measures about stress and depression. There are some programs where you have a very clear expectation that this stress-reduction program will result in this outcome. Others are more organic. (Here) it’s more about the environment we’re trying to create, so it’s not as easy to connect an outcome with a treatment design. We’re challenging ourselves to determine how to measure that. It’s very subjective obviously. But inculcating the Thrive language into the campus culture is a goal. It will be interesting to think about how we might determine whether we’re making progress. PR: Look for our health education program. We believe peers learn best from peers around sexual decision-making and alcohol choices. We’re building a cadre of peer educators that will be highly visible and highly engaged. Another will be the Reynolds Gym transformation. For alums who remember that state-of-the-art facility in 1956, it’s going to be a pretty exciting centerpiece. It’s not going to be a gym. It’s going to be the wellbeing hub for campus. The ‘living room’ will be a real hangout space dedicated to healthy living; the wellbeing suite will be right next to it. That will be the hotbed of activity designed to lure people in. MH: What defines wellbeing? Is it happiness? PR: There are lots of people who would say it is happiness, and I would certainly not argue with them. I think it’s closer aligned to meaning and purpose, and I think that fits so beautifully with Wake Forest and our Pro Humanitate emphasis. I think personal happiness is ephemeral. You have moments of happiness, whereas meaning and purpose and contributing to the betterment of society, the betterment of the world — that is more lasting. "What we'd like to do is make sure that students recognize that they have the opportunity to create healthy habits." MH: Often the national conversation focuses on college as preparation for employment. Is Thrive a counterweight to that notion? How important is it for a university to help students find meaning and purpose? PR: I think we won’t see the Thrive results until 10 to 15 years out when people are hitting their stride. You know the data about how many careers people will have. I think we’ll find that our students are really prepared to lead in a meaningful way, but it won’t be measured by the first job out. I think measuring the outcomes of college at the age of 22 is something you have to do, but it’s such a poor snapshot. College doesn’t pay off the day you graduate. It sets the foundation for most of our students’ further education to get the kinds of tools they need to make the kind of difference they want. MH: You have said Thrive is poised to make a contribution to the health of our community but also to higher education. Talk about that. PR: When I get together with my peers, this is an issue on everyone’s mind. There are some campuses that already have beautiful recreation centers. What others are not ahead of us on is how student-centered we are. We’re talking student wellbeing in a place where the focus is on the personal touch. The personal care is part of how we do it. Through the wellbeing metrics project — funded by the Reynolds American Foundation — we’re trying to create a model of what wellbeing looks like for this age group, where we know that identity formation and meaning and purpose are part of it. We’re trying to create something that other universities could benefit from that will help you understand what is the wellbeing snapshot at the University and how does it change over time. MH: So it will be a longitudinal study? PR: Yes. We’re going to pilot it in September. MH: How do you cultivate wellness? PR: I had excess energy from an early age, so my mom figured out: ‘Give her to the Y and they’ll take care of her.’ The Y (in Rye, New York) has this Minnow, Fish, Flying Fish, Shark program. I busted out of it in just a couple of years because (swimming) came to me so naturally. They put me on a diving board, and I became a diver. I was already a gymnast. All the way through high school, that was my place. When I got to college, I always thought of myself as an athlete but a little indifferent to making it happen. I’d play a little tennis and go swimming when I got a chance. My friend and I used to work out with the men’s diving team. This is before Title IX. They didn’t have women’s sports. I graduated and went to graduate school and just dropped it like a hot potato. And then in my mid-20s, I was racing up a hill carrying my niece on a sled behind me and I got winded. I was so surprised because I was out of shape and I hadn’t known what that felt like. 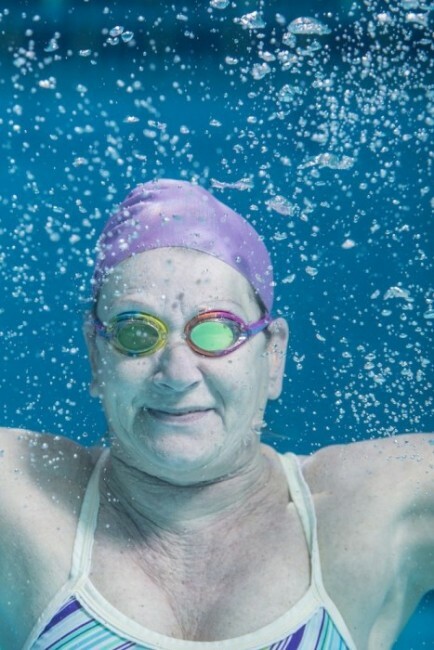 I went back to Chapel Hill, joined the Y and started swimming at the age of 26, and I never stopped. I was just a lap swimmer until I moved to San Diego. 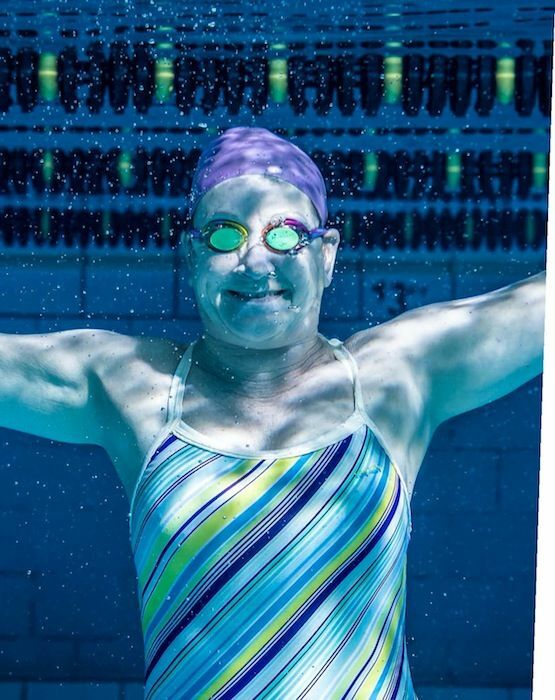 The only way I could get in the pool was to join the master’s swim group, so I became a master’s swimmer at the age of 54. That’s been a whole new experience for me — to swim with a coach and to have someone pushing you to do better. What swimming does for me is the workout, but it’s also meditative. I would love to do yoga, but I can’t make myself sit down and do that. I swim four or five times a week between an hour and an hour and 15 minutes. I balance that off with doing some walking and doing some weightlifting. I’m a seven-day-a-week exerciser. MH: Why did you decide to come to Wake Forest? PR: I left San Diego, which is not easy to do. But the reason I got intrigued about Wake Forest is because here was a place where the president, the provost, the cabinet and the trustees were saying that student wellbeing was one of their highest priorities. If you do the work that I’ve done for almost 40 years now you’ll know how really unusual that is — to go to a place where they’re not saying, ‘Penny, you fix it.’ They’re saying as a community we want to really think about what it means for all of us to thrive. That was just irresistible. I’m very glad I came.